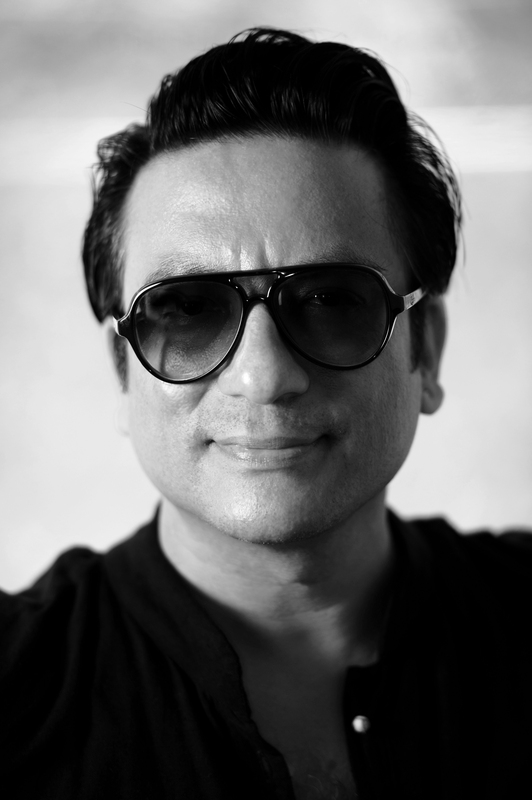 Sonam Dubal graduated from the National Institute of Fashion Technology, New Delhi in 1990. SANSKAR, his 1999 signature line, is a vanguard experiment in revitalizing and redefining traditional Indian silhouettes and textiles. His 2003 debut runway collection combined Eri (Ahimsa) silk from Assam and Khadi cotton handloom weaves, thus catching the eye of Lâ€™eclaireur, Paris. SANSKAR is a 15-year odyssey of design interpretation inspired by Dubalâ€™s Buddhist heritage, Asian motifs and symbols and cultural studies. Hand designed block-print remnants are recombined in vibrant silk patchwork stripes for zero waste. Recycled vintage silk saris in brocade and ikat mix with velvet, silk and handloom Kashmiri wool in textural play. Dubalâ€™s collections seek to reconcile modern influences and traditional creativity through storytelling in his embroidered jackets, wraps, coats and hand painted capes. In 2006 he was invited to show at the Rosemount Australia Fashion week in Melbourne and was one of Top 50 Achievers in Global Mainstream Media, fashion category, by the University of Leicester Law School, UK. Sonam Dubal won the ELLE Global Award for fashion in 2007. His work retails across stores in India and abroad in Sydney, Tokyo, London and New York. He exhibited at the Asia Society Museum Store in New York City in 2010 and 2013. In 2014 he was invited by Adishakti Theatre Laboratory in Pondicherry to conduct â€˜Stories in Textilesâ€™, a workshop on costume design and drapes in the context of theatre, film, and dance. Dubalâ€™s latest project is Tsutra, in collaboration with Sasha, a non-profit crafts organization working with weavers and Kantha embroiderers from West Bengal.